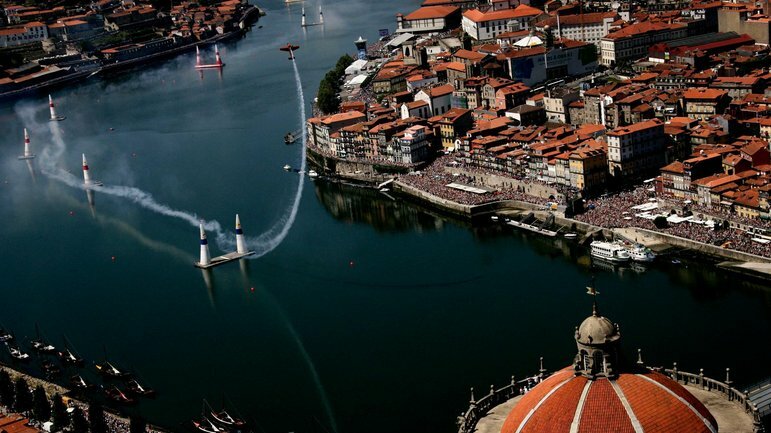 It’s official – the Red Bull Air Race World Championship is back in Portugal! The official 2017 calendar confirms a long awaited return. It has been precisely ten years since the debut of the competition in our country. Book your one week surf camp package in Porto or Esmoriz for Aug 27 – Sept 3 or Sept 3 – 10 to see the Red Bull Air Race Porto. The Porto race is free for the general public. 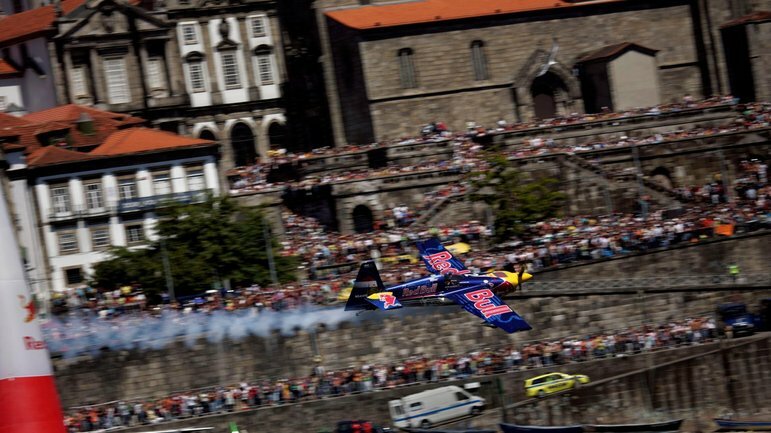 Porto hosted the Red Bull Air Race from 2007 through to 2009. 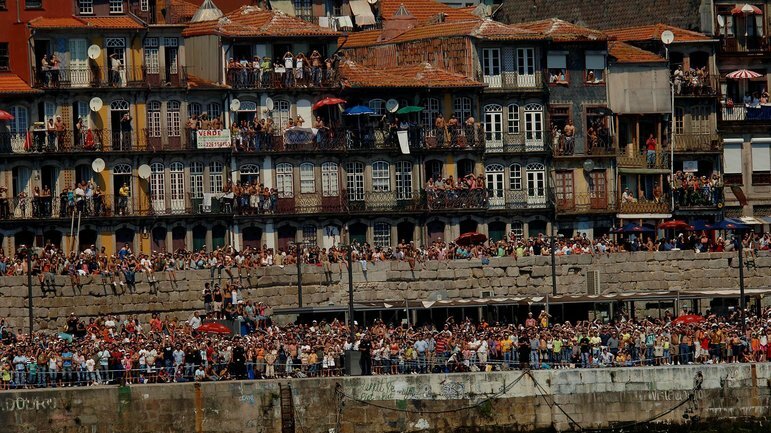 The race proved hugely popular with the fans who lined the Douro River to watch the competitors. The action returns to the banks of the Douro River on 2 and 3 September. The Porto Race is the sixth and third-last stage of the calendar this year. The race has always held significance in the Red Bull Air Race World Championship. Current Race Director, Steve Jones won there in 2007 and when Hannes Arch won there in 2008 he went on to win the World Championship. In 2009 Paul Bonhomme won in Porto and took the title. 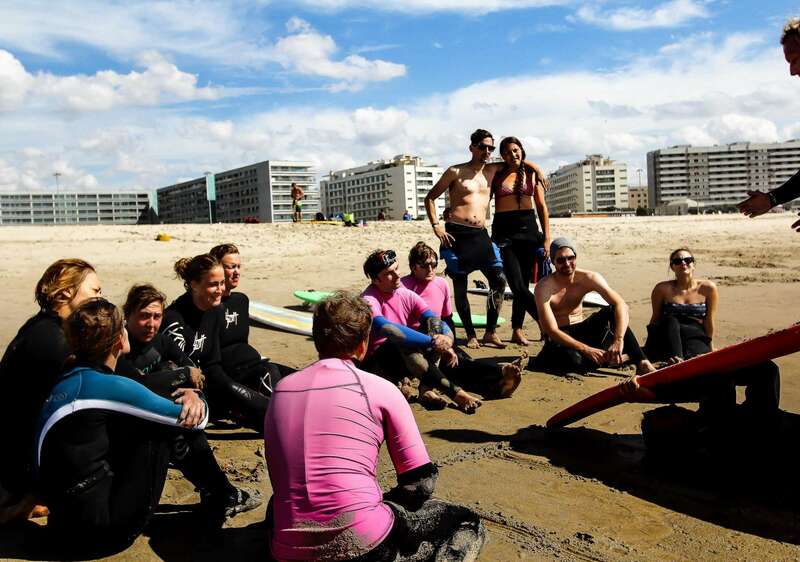 If you feel like you will need another holiday, after your holiday, why not book a second week at our Surf Hostel in Porto or Esmoriz, and get your second week 20% off at either location? This way you can sample a few more Vinho Verdes, and really nail your new surfing techniques. Contact us with any questions, or to claim your 2 week discount.